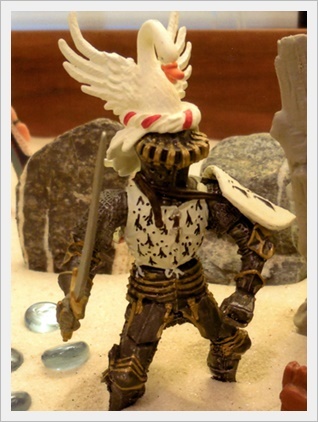 This entry was posted in aging, death and dying, getting older, Jungian therapy, loss, men, metaphors, nostalgia, women friends and tagged Baba Bogina, Crone Goddess, death and loss, Jungian sand play, Swan Knight by Elaine. Bookmark the permalink. Your post came on a day when I am pondering a dear love of the early 70s, and how things could have been so different if I wasn’t so impetuous. Then again the years together he already knew that about me. I was with him 4 years, and so much of my history is formed by those years. Must be the moon, or Venus is on a path that is bringing back those memories and what ifs. Thank you. OMG. What fun! What I love about Jungian work is that the answer is within. 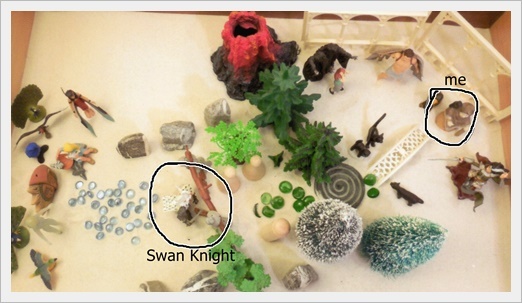 The knight w swan is who and however you interpret it. What a delightful character. And truly, by the way, you are very much your authentic self. Thanks, Margery. Sorry I’m so late with my reply, but I haven’t looked at my site for a while. 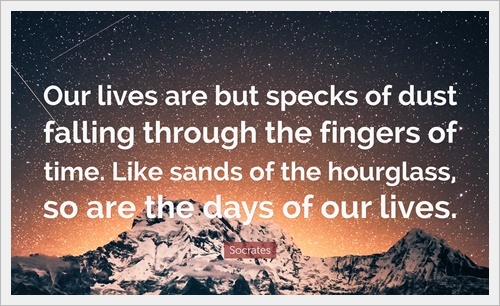 What are you up to these days? I just joined The Raging Grannies!!! Hey, Wach — so good to know you’re still keeping up with old friends. Thanks for the comment! Thanks, Ardelle. Did you find somewhere to dance? Yeah. Sometimes stuff comes together when you least expect it. Synchronicity.